An Exclusive E-Book Novella Set in the World of Unremembered! Seraphina has escaped the compound. The president of Diotech has fallen gravely ill.
Now Dr. Alixter rests his last hope on a genetically enhanced soldier. Set in the thrilling sci-fi world of Jessica Brody’s Unremembered trilogy, this sinister and suspenseful novella recounts the untold story of what happened on the Diotech compound after the shocking ending of Unremembered. 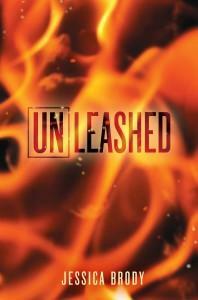 Told from Kaelen’s point of view, Unleashed also includes a special sneak peek of Unchanged, the long-awaited conclusion to the series. Download today for only $1.99! And don’t miss UNDISCOVERED, the eBook novella told from Zen’s point of view! I was born in secret. In a time of war. Not a war between nations. Or beliefs. Or territorial claims. It is a war of will. Us versus her. Who is stronger? Who is more clever? Who will win? The answer is as obvious to me as the air I breathe. It flows through me as easily as the superior blood in my veins. It fuels me like food and fire. She will succumb to us because we are more powerful. We have more tools and weapons and technology at our disposal. We will win because we have Dr. Alixter. And she only has the boy. The weak, arrogant, ill-fated boy whose sole weapons are words and empty promises. Whose sole tactic is to run. But you can only run so far before you’re tracked down. You can only hide for so long before you make a mistake and we find you. That is what I was born to do it.